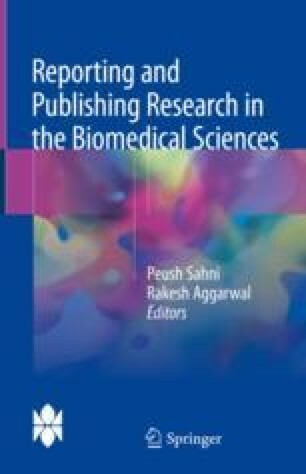 Authors of a scientific manuscript wish their paper to be published in a journal and then read, used and cited by their peers. However, there can be many stumbling blocks in this process. One such impediment is submitting the manuscript to an inappropriate journal. At one extreme, it may result in a journal editor summarily rejecting the manuscript without even commissioning an external peer review; this results in the need to resubmit the manuscript to another journal and a consequent delay in publication. At the other extreme, the paper may be published in a journal that is rarely accessed or read by those interested in the work. Either way, the authors’ efforts to disseminate their knowledge have been frustrated. Amin M, Mabe M. Impact factors: Use and abuse. Elsevier Perspectives in Publishing October 2000; revised 2007. http://www.elsevier.com/framework_editors/pdfs/Perspectives1.pdf. Accessed 25 April 2015. Clark J. How to avoid predatory journals—a five-point plan. BMJ Blogs. http://blogs.bmj.com/bmj/2015/01/19/jocalyn-clark-how-to-avoid-predatory-journals-a-five-point-plan/. Accessed 9 Sept 2015. Principles of transparency and best practice in scholarly publishing. http://www.wame.org/about/principles-of-transparency-and-best-practice. Accessed 9 Sept 2015.